Utah-based musician and sound sculpture wizard Jeremiah Savage has created throughout the years a whole bunch of virtual sound libraries, which contain hundreds of materials shaped into new and playable instruments, the last one being KINETIC METAL. Jeremiah is also a songwriter, a multi-instrumentalist and a poet. 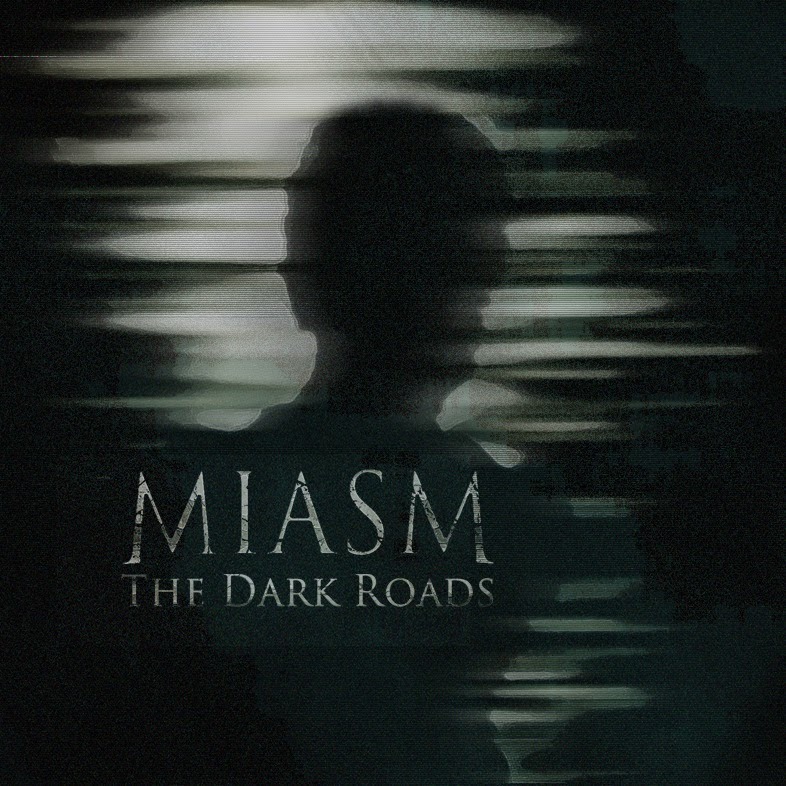 Miasm is his latest musical project, "The Dark Roads" being its debut full-length, where our sound artist indulges in his more personal musical tastes all along the nine rather long tracks which compose the album. The songs proposed in this collection defy categorization and definition. They can hardly be called 'songs' in its traditional meaning, they are more like exploration of emotions and thoughts, myths and melancholy, "through progressing music structures that evolve with ideas. Structures that are familiar, like a broken memory or a remembered dream." (Quoted from the album's liner notes) "The Dark Roads" is indeed a world inside, an eerie, atmospheric and, as the title suggests, a dark album whose sound palette is rather close to a very peculiar mix of gothic, post-metal, cold wave, shoegaze and even some industrial elements, maybe thanks to the above mentioned KINETIC METAL library. Despite Jeremiah Savage's sound sculpture works, all songs here give much place to soft and hazy vocals, they are sometimes almost whispered, as well as melodic, here dreamy, there more hard-rocking, guitars, accompanied by a low meandering bass and glacier-speed drumming. The whole thing made me sporadically think of some sleepy The Cure or apathetic The Church. A pretty interesting, immersive, emotional and indeed spooky musical experience which you can discover, listen and download on Miasm's bandcamp or down here.